If you have small children or pets in your home, are likely to have visitors with children or own a business frequented by families, safety should be a top priority. Window shades with cords can cause strangulation of injury. That’s why safety experts recommend making the switch to cordless window shades, and Polar Shades has plenty of options to choose from. Many business owners and homeowners are opting to replace their existing window coverings with motorized interior shades. These shades are operating using remote-controlled motors and easily and conveniently open and close on a set schedule or on-demand with a click of a button. Polar Shades also offers the motorized GLYDEA Range for drapery tracks, which allows you to engage the motor and open or close your drapes with a slight tug on the fabric. You can also control them using a timer, hand-held remote, wireless wall switch, or table-top remote. 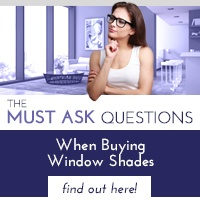 When most people think of window cord safety, they’re thinking about interior shades. However, when children are playing outdoors, the outside of your home is a concern as well. 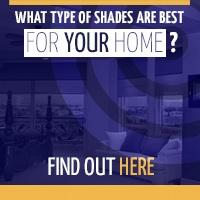 Installing cordless exterior shades allows you to block out heat and harmful UV rays without creating a safety hazard. Choose from motorized shades with easy one-touch control or fully-automated options that run on timers or have sun and wind sensors. In addition to motorization, we also offer gear and crank options. Give Your Home or Business a Safety Upgrade Today! The benefits of cordless window shades go beyond just safety. 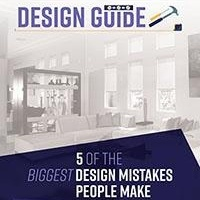 They increase the resale value of your home, add style and are more convenient to operate. 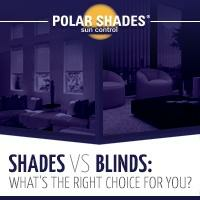 Contact Polar Shades at 877-260-6110 to learn more about our cordless shades and schedule your free, in-home consultation.